Over the last two years I’ve been fortunate enough to play a lot of really good golf courses all over the world. I’ve taken thousands of photos, played thousands of holes, and started to have a much better understanding of what makes a good golf course. I’ve also been able to form opinions about which courses I enjoy the most. There’s a very distinct (and at times, quite large) difference between what I enjoy and what constitutes a good course by traditional standards. If you look at many of the “top 100” lists from major publications you’ll in many cases see a big slant towards difficult, championship golf courses with a lot of historic pedigree. Usually, those courses are worthy of being as highly ranked as they are. However, does that mean that some of them were my favorite courses to play? The fun thing about this list, is that I get to decide what get’s ranked where, and why. This is the Breaking 80 Top 100 Golf Courses list for 2017. This is not a list of which courses I think are the best from an architectural stand point. If I were rating them for say GolfWeek or Golf Digest I would rank them very differently based on their architectural merits. Which courses would I enjoy playing the most? I went through and asked myself over and over and over again “would you rather play course #1 or course #2” – this list is based on those answers. As much as possible, I tried to throw out exclusivity and pedigree. For instance in all honesty, if you told me I could go play Tobacco Road or Oakland Hills – I’d probably still choose Oakland Hills – yet I have Tobacco Road ranked higher. When creating this list, I took into account everything from course difficulty, strategic shot values, scenery and personal affinity – but there’s one ranking factor that will always remain paramount for me. How much fun did I have playing the course? Was there a lot of variety? Was each hole distinct and keep me entertained throughout the round? I mean after all, that’s what golf is supposed to be about right? Having fun? This is why in many cases you’ll find very highly ranked courses (by traditional measures) that are far superior from an architectural standpoint, not ranking as high as other courses. That said, in some cases, much of the fun can be derived from the exclusivity, location, or history of a course. Hands down my 2018 top golf courses list has been by far the hardest to write over the 5 years that I’ve been doing it. One is that every year I’m playing more and more golf. At first it was easy to push out a lot of of the mediocre courses, but now, there are very good courses not on this list. And in some cases, I pushed out “better” course because, I just didn’t enjoy it as much as some of the ones I left on the list. I spent a lot of time this year reviewing old photos, videos, journal entries, and blog posts to refresh my memory on some of the courses where it’s been a few years since I’ve played them. The second is that the controversy surrounding my list last year, is still fresh in my mind. Long story short, I was called a bunch of names, and hammered over some of the items on this list from people who know a lot more about golf courses than me. Frankly, I find it amazing that for something as subjective as a list of favorite golf courses, so many people were bold enough to tell me just how wrong I was. When it comes to favorite golf courses (not the best), no one is wrong. Everyone likes different things, and that’s one of the things that makes this game so great. It’s just golf. If you get worked up reading this list, then that means you’ve probably played a lot of these courses. In that case, you are an extremely privileged human being. Be thankful for that (I know I certainly am), and recognize that none of this is life or death, or even close to it. So smile, and be glad that you’ve been fortunate enough to travel to play cool golf courses. Now that you understand a bit about my unconventional ranking strategy, let’s get on with it. Keep in mind, some of the ones towards the bottom are certainly not “best in the world” – but remember, this list is based on courses that I’ve played. I’ll be releasing ten new courses on this list over the next ten days, so enjoy, and keep checking back! Debuting at number 100, is one of the courses I’ve most recently played. We had our Eighty Club championship at Stonewall last month, and both courses were impressive. The North Course, or “Udder Course” as it used to be named has some fantastic holes, nice use of elevation, and is a perfect compliment to its sister down the road. Aronimink was the last round we played on our June Philadelphia swing in 2016. It was a race against time from flood like weather that didn’t hit until I was pulling out of the gate at the airport that night. Aronimink is a beautiful club and one of the hardest courses you’ll find. By now you should know long, classic, championship golf is not necessarily my preferred style. But Aronimink had some fun holes, and if you’re playing from the correct tees, it’s a definite treat. I’d expect this to rank higher now that Hanse has completed his restoration – I just haven’t played it since then. Also cool to see them finally get their major with the 2027 PGA Championship. I was totally surprised by Salish Cliffs. From the opening with a reachable par 5, short par 4, and then long downhill par 3 – I knew this was going to be a fun round. It stayed interesting all the way through, and is definitely worth taking the time to play if you’re heading to Chambers Bay. In many ways it felt kind of like a public version of Gozzer Ranch. I was supposed to go play Yale, but we pulled an audible the morning of and went to Old Oaks instead. Man what a place. Stately, massive, and…completely unknown? Most people I’ve talked to have never heard of it. It’s too bad as it’s a really underrated Tillinghast track. This might have been the round when I realized I much prefer Tillie’s courses to Ross’. When it comes to exclusivity, it doesn’t get much more so than Garden City. The experience was incredible, and the company great. But the day I played it was early in the season and the course was still coming back from the winter and wasn’t in the best shape. Would love to experience it again to better appreciate it’s subtleties. You’re probably thinking, “how on earth is this so low?!”. The reality of Pinehurst #2? It’s a long, difficult golf course. It’s worth doing once as a bucket list item, but at $450/round, there are other courses in the area that are immensely more enjoyable. Those Ross greens are pretty spectacular though. Note: Remember, this is the ranking for my favorites, not my opinion of which are the best! 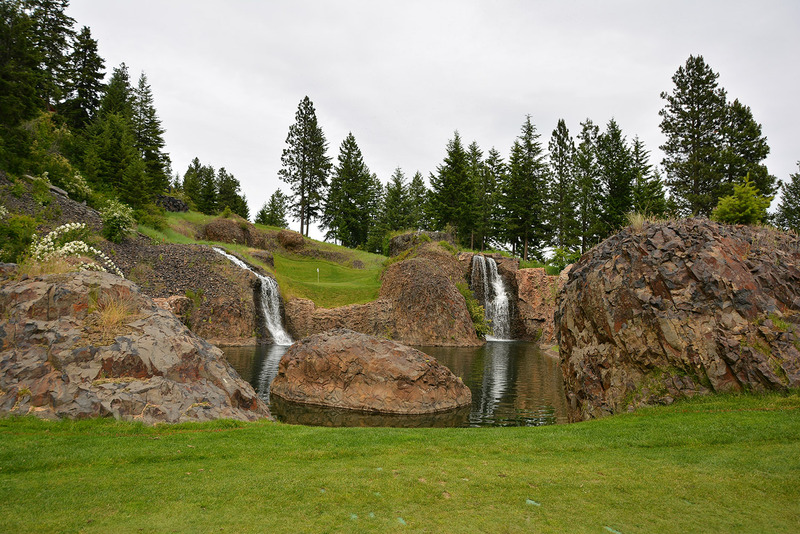 Waverley is set on one of the most beautiful pieces of land for golf in the state of Oregon. Very few places I’ve played compare with the finish on 16-18. There’s truly something special about this club that you don’t see often in Oregon. It feels like it’d be more at home with the Golden Age clubs of the Northeast. If there’s one place I hope to be a member at one day, this is it. I’ve talked to a lot of people who say Turnberry is their favorite course. Anywhere. While I thoroughly enjoyed my round, there were many other courses in Scotland that I preferred. From what I hear though, the recent remodel has made some fantastic changes and 9-11 are even better than they already were. Full Recap: Turnberry (Ailsa) – The Most Scenic Open Rota Course in Scotland? People often ask me what I thought of Streamsong. Short answer? The courses there are great! But there’s always a caveat…it didn’t meet my expectations. It had been talked up for so long and been spoken so highly of, I think my expectations were way too high. I found the Red to have a fantastic opening set of holes, but after the first six, I found there to be more of a mix of great holes, and some that were a bit more forgettable. One of the first of the “new” ultra exclusive courses in the Hamptons, Atlantic was built in the early 90s and is a beast of a course. That being said, it’s long and hard while still being interesting and fun. We had the whole course to ourselves the day we played, and considering we played Maidstone in the morning, it was truly one of the most memorable 36 holes days I’ve had. Ayodhya Links is a course that I never thought I would get to play, but the stories around it are pretty fascinating. First off, the entire course was lost to a flood in 2011. They rebuilt and remodeled the entire course from the ground up, and in 2015 (and again in 2017) it was named one of the Top 100 Courses in the World by Golf Magazine – much to the chagrin of many notable raters who didn’t believe it should be there. Thank you to the gesture of a very kind friend, I was able to play the course, and I found it to be quite good. The strategy, conditions, and variety was all there in spades. On this year’s trip down to the Masters I was able to sneak in a few rounds of golf before hand, and the first one of the trip was Hawk’s Ridge with my buddy Drew, one of our Eighty Club members. The course reminded me a lot of my home track, Pumpkin Ridge (both are Bob Cupp designs), and I found myself really enjoying the routing. There were certainly some memorable holes, and while the grass was dormant while I was there – it played great. Rumor has it John Smoltz used to helicopter in to de-stress on game days before he pitched for the Braves. Atlantic City Country Club, on top of being the birth place of the term “birdie” was one of the biggest surprises of the year for me. Some of the inland holes were a bit more pedestrian, but the ones out near the water like 3 and 4, and for much of the back 9 are about as good as it gets. This is one that’s worth the two hour drive from NYC to go visit if you ever find yourself in the area. Golf Magazine recently claimed that Gulph Mills was the toughest tee time to get in the state of Pennsylvania – that’s saying something. I found the course to have great variety, was in good condition, and despite a brutally hot day, had a fantastic round. Sticking it close for a birdie on the par 3 6th was definitely a highlight. It doesn’t get much better than fall golf. This is the 10th at Essex County Club – could not have had a more perfect day. Do you play year round? Or are you calling it quits for a few months? Anyone wanting to know why Essex County is so good, needs to simply look at the fact that Donald Ross lived on the course for a number of years. I found the back 9 to be the better of the two, with elevation change that was reminiscent of Yale at times and some wonderfully fun semi blind shots. One of the most famous championship venues in golf, Medinah #3 has some great holes, but by the end became a little long and repetitive. The pars 3s, while all excellent, began to feel similar by #17, and with a score over a 100, I took quite the beating. Chambers is another course that many people love to hate after the debacle that was the 2015 US Open. However, the variety, the fun holes, and the views make this a course that would be hard not to enjoy. You’ll definitely hit a few golf shots there you won’t see anywhere else. Let’s not be mistaken, the Olympic Club is hard. It forces you to move the ball in every direction possible, and be on top of your putting game in the process. It’s truly a championship course, and while I found some of the holes to feel a little familiar by the end, there’s no doubt it’s a place I enjoy getting beat up when given the opportunity. Not to be missed: the burger dog, and the men’s locker room. Portmarnock was one of the most special rounds of golf I had last year. We had the course to ourselves, and the fact it was on January 3rd, and we actually were able to get it in without any major weather was a fantastic surprise. This is one I imagine might move up the list with a few more plays. It has a fantastic routing, and the history at the club is unparalleled. Forest Dunes is in the middle of nowhere. But the Weiskopf layout is worth the trip. It’s in a beautiful region of the country, and you can get some awesome stay and play deals in the fall. And there has never been a better time to go considering they just opened their new Doak reverisble routing called The Loop, which was just named best new publuc course by Golf Digest. I wasn’t expecting to like this course much, but considering at one point Mr. Trump claimed it was the very best course in the world (just like every other course he owns), I was excited to play it. As to be expected the conditioning was impeccable, and while it was certainly a tough test of golf, I thought it had a nice variety and was fun to play. I’ve learned I have an affinity for modern parkland style courses, and despite being a little bit ball busting, it was a very enjoyable round. I know people who say that Machrihanish is one of their very favorite courses in the world. Don’t get me wrong, there are some world class holes there. The opening tee shot is second to none, and it’s as true a links test as you’ll ever find. But compared to some other top Scottish courses many of the holes blended together for me, which keeps this from cracking the top 50. Don’t get me wrong I love Old Macdonald, and Golf Digest even ranked it as the #2 most fun course in the country! However, while a very enjoyable course with an interesting story (the hommage to CB Macdonald) the brutally long stretch of 9-12 leaves a sour taste in my mouth every time I play it. This is another one that the purists will totally hate on me for. The Country Club is one of the most exclusive courses in the country, and playing it was such a special treat. If you asked me to rank it based on the design and architecture – it’d be top 50 in the world. But for how much I enjoyed it? It’s not quite as high. I enjoyed the back 9 much more than the front, but also my experience was skewed having played off season in some pretty nasty weather. 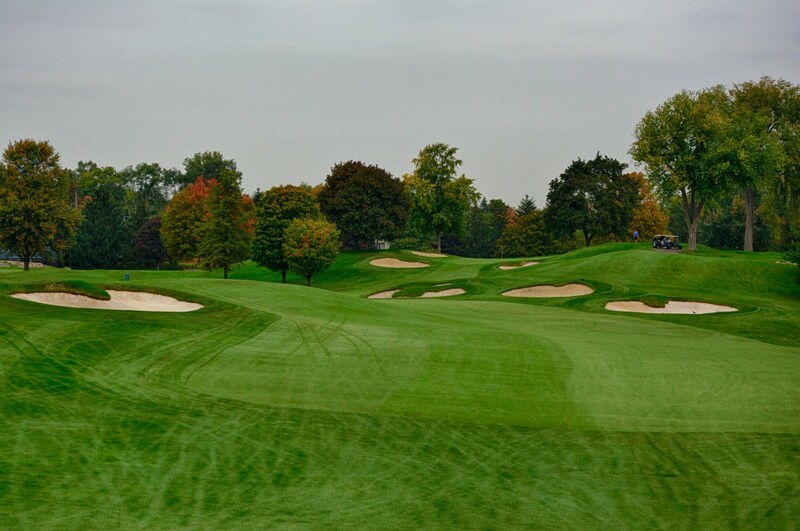 The average golfer might not know it, but Columbus is a hot bed of world class golf. Flying a little more under the radar next to some pretty heavy hitters is Jack Nicklaus’ childhood course where he learned to golf: Scioto. Scioto is Championship course that truly has some teeth – but aside from the fact I got food poisoning the day of my round there – I truly enjoyed it. Memorable par 3s, and hands down one of the best, and busiest country clubs I’ve been to. Carnoustie is kind of akin to Bethpage Black here in the states. It’s long, hard, public, and has sort of a no frills vibe going for it. While not nearly as scenic as some of it’s other Scottish neighbors, I enjoyed my round here more than expected – and the history is second to none. Just be prepared for a beating. When it was built, Cascata was Caesar’s answer to MGM’s Shadow Creek. While not quite the transformation that Shadow was it’s a dramatic course with tons of great elevation, and the Vegas price tag to go along with. That said, everything about the experience is first rate, and if you don’t feel like blowing another 400 bucks at the blackjack table, this would be a great alternative. Atlanta Athletic Club unfortunately got the designation of what may have been my highest score of the year. Pretty sure I didn;t break 100. But there wasn’t much to complain about considering the conditioning was perfect, there were many memorable (and scenic) holes, and it’s got history rivaled by very few in the South. Hopefully next time I’m able to make it back and play the Club’s other course, as I’ve heard nothing but good things. I believe the Old Course at Stonewall was Tom Doak’s first private design, and it’s clear why it helped put him on the map. Great elevation change, a nice variety of holes, and a beautiful setting all combine to make this one of the finest courses in the Philadelphia area. After our round at Double Eagle Club was canceled due to weather, we were able to lineup a tee time at Valhalla on short notice. In a stroke of luck, our very first Eighty Club member happened to be in town, and we were able to enjoy an extremely enjoyable round at the Club. I found Valhalla to have a more interesting routing than expected, and the course truly exceeded my expectations. It wasn’t difficult to remember every hole, and it strikes a great balance of an enjoyable members course, and a stern test for the pros. Anything on the Monterey Peninsula is going to have some cache, and Spyglass Hill is no exception. The bigger, more brutal brother to Pebble Beach might the best opening 5 holes in golf, or at least it should be up there. However after that I found it to get a little less interesting, and the inland holes became more hit and miss. It’s one of the tougher courses you’ll play, and I was a little battered by the end. I didn’t have overly high expectations for the Serapong Course, but I was pleasantly surprised at how much I enjoyed it. Specifically the opening 7 holes is one of the better stretches of golf I’ve had in recent memory. The back nine didn’t quite have the views and drama of the front, but challenging bunkering, and a good routing, helps this break into the top 100 this year. The exact opposite of Pronghorn, Tetherow is one of the most unique courses in the world. It’s in the high desert, but the fescue grass has it playing like a links course. It’s extremely high on the fun factor, and the greens can leave you some truly terrifying putts. I enjoy it every time I head out, and with the work they’ve been doing there, it’s only getting better. The short par 4, 3rd hole at The Dormie Club. 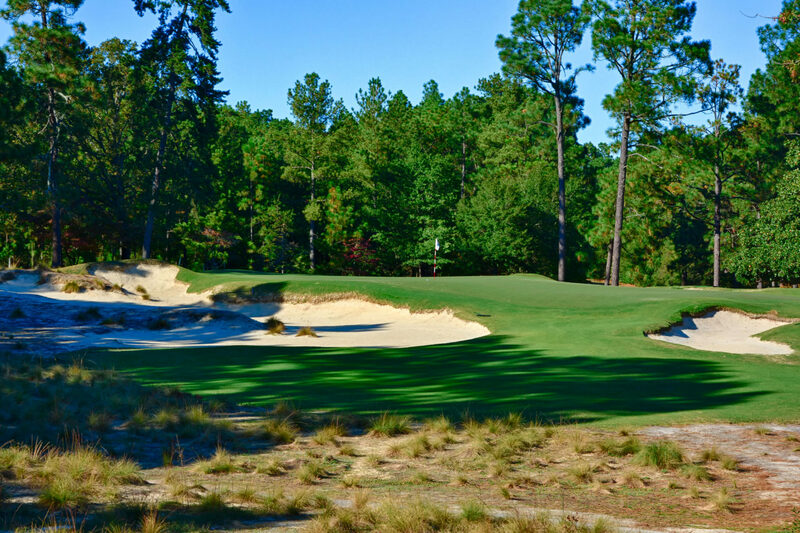 Dormie Club has had a tumultuous history, but I’m just glad to see they’re still in business as it’s one of the best courses in the Pinehurst area. But now not only are they surviving, but with the Dormie Network, a national club that gives access to 5 courses, it’s future looks brighter than it has in years. Go play it while you still can before it goes totally private in the next year or so. This is like the Six Flags of golf courses. Up, down, left, right – you won’t find many courses rival this for just flat out fun and unique experience. You pretty much have to take a cart, and you’ll play holes that while not always the most strategic, may very well give you vertigo. This is one of those “must play at least once” type courses. Home of 2016’s Barclays, Plainfield is a fantastic Donald Ross layout. It starts to border on the “long, championship style” courses that aren’t always my favorite, but I really enjoyed my round out here – especially the back nine. 11 is one of my favorite par 3s in the country. Rolling Green had some great par 3s. This is the 3rd. During my trip to Philly a couple years ago, Rolling Green was the course I didn’t know a whole lot about, and next to placed like Merion, Aronimink, and Philly Cricket – I wasn’t totally giddy about playing it. After the round though? Wow. Great variety, lots of elevation, and some really fun and unique holes. It’s easy to see why it was chosen to host the 2017 US Woman’s Amateur. Huntingdon Valley was the first stop in last year’s Eighty Club event in Philly, and it certainly didn’t disappoint. We played the Toomey/Flynn nines, which have fantastic elevation change, a handful of excellent short pars 4s, and one of the best clubhouse views you’ll find. It’s a sleeper in the stacked world of Philadelphia golf, and one I’d love to play again. Pretty ridiculous that I grew up in Eugene and didn’t play @eugenecountryclub until today. Totally worth the wait. . Thanks @bizsuitsnbballshorts and @mcsewon for having me out! . This is the approach on the par 4, 15th. For years Eugene Country Club has been ranked as by Golf Digest as the best non-Bandon course in Oregon. There are 15 courses on that list, and up until last year I’d played 14 of them. Pretty sad considering I grew up in Eugene, and my sister used to work here. Nevertheless, it was worth the wait. The course has some of the best par 3s in the country, and one of the most serene parkland settings I’ve played. You better bring your A game when you show up at Quaker, as it isn’t going to take it easy on you. For me the course stands out for it’s memorable par 3s and some brutal bunkering that will take it’s toll if your shots are a little off. One of the very best collections of template par 3s I’ve ever played. Camargo Club is truly special in the world of golf. It’s understated, quiet, and it doesn’t need to be loud or flashy to let the world know just how good it is. It was my first Raynor, and is the type of course that I can only imagine enjoying more and more with more plays. Teeing it up at The Golf Club was one of the most pure experiences I’ve had on a golf course. You pull through the gates and you’re transported to another secluded world. A world where no one will bother you, where you nearly always have the course to yourself, and where Pete Dye displayed some of his very best (and earliest) work. While it’s usually Streamsong Red that gets the nod as the best of the three courses, personally I preferred Tom Doak’s Blue Course. It’s big, it’s bold, it’s fun – and if you’re not on your game, you’ll probably have a long day. There aren’t many major tournaments Oakland Hills hasn’t hosted. This struck a better balance of difficulty and hole variety, than say Medinah or Olympic – and the greens are some of the slickest I’ve ever putted on. After having the good fortune of playing the East Course last year, to be invited back to play the West this year was a real treat (thanks Chris!). We had an absolute Chamber of Commerce day, and the West might have been the most well-manicured course I’ve ever played. It was exactly as I expected, long and challenging, but frankly I think I preferred the quirkier East Course. Full Recap: Winged Foot Golf Club: The Finest 36 Hole Club in the Country? What many consider Tillinghast’s best work, barely cracks my top 3 of his. Bethpage is another course everyone should play at least once, due to it’s accessibility and increasing lore in the golf history books. Expect lots of sand, extremely difficult rough, and a brutal walk that will leave you begging for more. Living on the west coast of the US, Bermuda wasn’t exactly on the top of my list of places to visit. However, after visiting for our first annual Eighty Club Breaking Bermuda event last year, I’m so glad I went. The CB Macdonald Mid Ocean Club is phenomenal. It has the templates, it has the views, and everyone I met there is so laid back and chill – it’s exactly the type of place you’d like to be a member at and play over and over again. On the outskirts of Atlantic City, Galloway is a course that’s largely flown under the radar. It was in absolutely perfect shape, and while it’s one of the more difficult courses I’ve played, I still found it very enjoyable and full of memorable holes. With a second play for an Eighty Club event this summer, it reaffirmed just how much I enjoy this course. The short par 4 12th, and par 3 17th are two in particular that really stand out. From an architecture stand point, the Old Course is one of the greatest (if not the greatest) courses in the world. From a history stand point? It’s unparalleled. Any golfer will get goosebumps when you stand on the first tee. But I think this is a course that takes many plays and/or lots of study to truly understand its greatness (outside of its obvious importance in the history of golf). The course itself isn’t overly scenic, and it’s quite flat. If you were to take an average golfer and have them play The Old Course, and say, Tobacco Road (without knowing anything about either), I’d be willing to bet at least half of them would choose the latter as their favorite. Playing at The Valley Club is a really special experience. The club itself has one of the best vibes I’ve ever seen. The membership is more laid back than you’d expect, and the Clubhouse is one of the all time greats. Things get even better once you hit the course. A nearly original Mackenzie design shows off a unique routing, excellent bunkering, and a course that won’t overwhelm you with difficulty – in the best way possible. Before my round at The Creek, I admittedly didn’t know a whole lot about it – and I’m glad I didn’t. The surprises kept coming around every turn, leading to a very memorable experience. The view going over the crest on 5 is one of golf’s all time great reveals. Some might knock it for a weak opener, but I actually found the first 5 holes (save for a pretty weak Eden hole) to be very good – and things only got better from there. I can only imagine how good it is now that Hanse has done some restoration work. This starts one of my favorite stretches of holes anywhere 12-15. This was the course that started it all for me. My very first top 100 public course I played. I love Bend and Pronghorn. The course has a few of my favorite holes in Oregon (12-15) and is a treat to play every time I have the opportunity. This might have been the longest, toughest, most difficult walk of my life. – partially due to the torrential wind and rain, I’m sure. But I found this to be a more difficult walk than both brutes like Yale and Bethpage Black. I was surprised by just how good Trump’s course here really was. It had a modern take on links golf that kept things interesting and fun, even if I thought my lungs were going to give out at times. Host of the 2017 US Open, Erin Hills is another very difficult walk, and the course, which can be stretched out to over 8,000 yards is no slouch either. There are some excellent stay and play deals, and if you live in the midwest, this is a must play. This is the only course on this list that isn’t a full 18 hole course, but it’s so good that I had to include it. Any one of of the 13 holes on Bandon’s par 3 course would make for a great hole on any of the bigger courses. But to grab a bunch of friends, some beers, and set out in 30mph winds? Now that’s fun that is only topped by perhaps a day at the Sheep Ranch (may it RIP). I usually play Crosswater a few times a year, and love it every time. It has a solid variety of holes, forcing you to be very strategic at times (4th hole with extremely shallow green), and to flat out bomb it at others (687 yard par 5, 12th). While I do wish there were a bit more elevation at times, is underrated in PNW golf – especially if you catch one of their $99/night stay and play deals. The scary 2nd shot on the short par 5, 14th at Witch Hollow. I may be slightly biased on this one, considering it’s my home course – but the setting and variety here is absolutely stunning. The par 5 14th is one of the best short par 5s in the world, and while it may not have the length to host a modern day US Open, it’s a course that can still challenge some of the best players in the world, which it does at the Web.com regular season finale which is hosted here. I’ve played golf in some pretty spectacular places. Pebble, Ballyneal, the Maldives – but Banff Springs may have the most dramatic backdrop for golf I’ve ever seen. Towering peaks around every corner, and unlike many courses in amazing settings – the course is every bit as good as the scenery. Ballyneal is close to the most remote golf course I’ve ever played. I mean, it’s out there – but I mean that in the best way possible. It’s the ultimate destination club, and fortunately, their golf course makes every second of the journey worth it. It feels like a links course in the middle of nowhere, and that’s because, well, that’s essentially what it is. Obligatory shot of Cal Club. The bunkers here were insane. Cal Club as most people affectionately call it, has some of the most brutal (and beautiful) bunkering I’ve ever seen – no surprise, considering Alistair Mackenzie helped with them. This course has flown under the radar, but it’s among the best courses in a state full of phenomenal golf. The 12th at Myopia Hunt outside of Boston. Walking off the highly unique short par 4, first hole, I knew I was going to like this course. It goes up, it goes down, it goes short, it goes long. It’s tradition and history is deep and the course itself is extremely special. This was from the ladies tees, but had a particularly cool angle of the cave. The Fazio course at Pronghorn gets very little play, and as such is in immaculate condition. 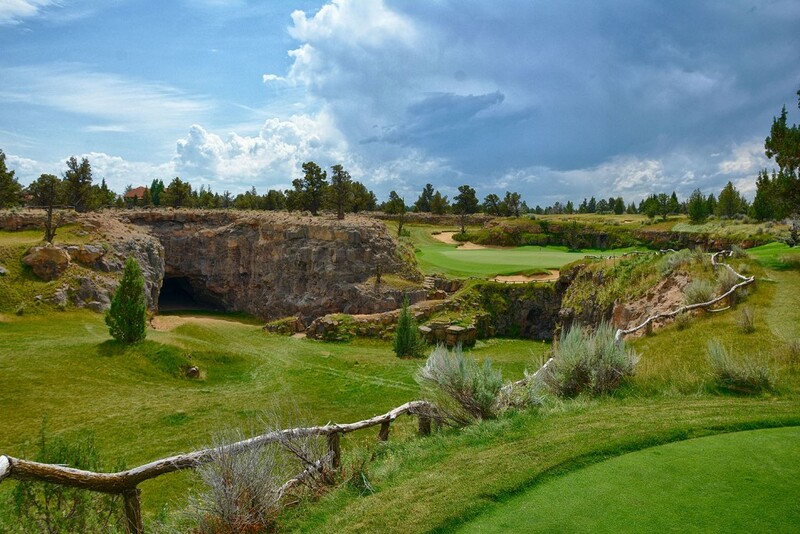 Its views of the Three Sisters mountains are unparalleled, and the par 3 8th over an ancient lava tube is one of the best and most unique par 3s you’ll ever play. I knew I was going to like Colorado Golf Club before I even set foot on the property. It’s Coore Crenshaw on a beautiful piece of land, and some incredibly unique holes. CGC is also one of the best match play courses I’ve ever played, and it has some excellent risk reward short par 4s and par 5s. One of the most fun tee shots in all of golf. When I think of the River Course, the first word that comes to mind is fun. Dye uses bunkers and water, to weave you through a tapestry of different landscapes, and he gives you multiple options on every hole – with the best example of this being the three distinct fairway options on the par 4, 9th. This might be the most controversial course here, it’s very much a love it or hate it course. Personally? I love it. It’s unique, rebellious, and features one unique hole after another. It’s so good, I’m still trying to convince some of my golfing buddies to fly across the country to play it with me. And at under $100 a round most of the time? It’s one of the best values here. The fantastic 18th at Philly Cricket Club. Possibly with the exception of Pinehurst #2 or Sleepy Hollow, I’m not sure there has been a more celebrated restoration in America than the Tillinghast designed Wissahickon course. It’s just so good. You’re engaged all the way through the round, and there isn’t a weak hole on the property. 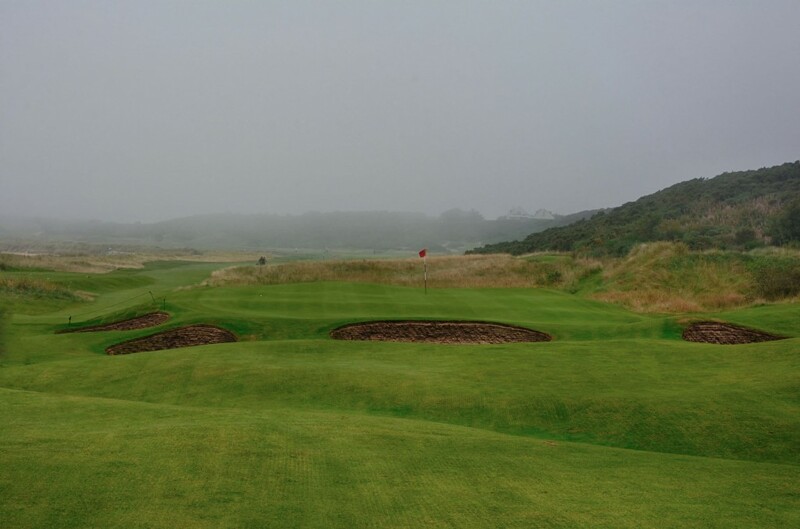 When I played Kingsbarns the Scottish fog was out in full force (as were the flashing red guidance lights) – but that didn’t keep me from immensely enjoying the course. Kyle Phillips did a tremendous job of blending old and new, and making a course that’s one of the most fun and enjoyable anywhere. Sleepy Hollow has recently been completely transformed back to it’s former glory Gil Hanse – and it’s a sight to behold. Most people have seen the phenomenally par 3 16th, but unless you’ve played it you don’t realize just how good the land, views, and interest of the holes are. It’s 100% deserving of all the praise it’s been getting over the last couple of years. Another one that you might expect to be higher. I love Bandon and I love Pacific Dunes, but having played the course 3 times now I just don’t love it quite as much as many other people do. That being said, there’s no denying it’s an absolutely world class course. Picture perfect view on 9. There are certain clubs who have a greatness that you can’t quite quantify or identify without experiencing it. I found Riviera to be one of those clubs. If you’re a diehard about golf course architecture, this is one of those “must study” courses. As everything from concept to execution is a masterclass in golf course design. It’s difficult yet playable, tough yet fair, and the Redan 4th is one of the toughest par 3s I’ve played. Simply put, while I was unsure going into it, Riviera is every bit as good as it is made out to be. We randomly decided on Gleneagles, and almost played the Centenary course instead. What a mistake that would have been. The Kings course was incredibly diverse, with fantastic long holes, short holes, wide fairways, narrow fairways – it made you think throughout the whole round. We barely got the whole thing in before dark, and I’m amazed this course doesn’t get more attention than it doe s- it was that good. Hole 18 at Atlanta Country Club at Sunset with a couple eagle putts. Hands down, the number one best surprise of 2017. I arranged a tee time at Atlanta Country Club on short notice while down for the Masters after a couple other scheduled rounds fell through. I didn’t know a whole lot about it, but had heard nothing but good things. The way the course weaves through a canyon makes for a unique setting, and I felt like I had strategic decisions to make on nearly every hole. Highly underrated and worth playing when in the area. How Golf Digest doesn’t have this as a top 100 course is totally beyond me. The conditioning may be lacking compared to many other courses, but the quality and diversity of the holes is absolutely incredible. I liked TPC Sawgrass much more than I expected to. While it’s always in Top 100 lists and in the Top 10 of the best public courses, I haven’t met many people who truly raved about it. But I thought it was a fantastic test of golf that while challenging, was also really enjoyable. The water wasn’t as penal as I expected it to be, the greens we’re hands down the fastest I’ve ever putted on, and regardless what anyone says, the 17th is truly a bucket list hole. To be totally honest, I really didn’t think I was going to like Winged Foot East. I thought it was going to be a long, hard championship course that while great for the pros, would be a brutal and tedious for someone like me. Boy was I wrong. Winged Foot had memorable par 3s, great risk reward short par 4s and was one a real treat to experience the history of the Club. One of the most well known, and highly ranked public courses in the country, Whistling Straits is grand in every sense of the word. Each of the 4 par 3s rests on the banks of Lake Michigan, and if the views don’t distract you and kill your round, the nearly 1,000 bunkers on the course most likely will. Is Arcadia Bluffs the most strategic course? Nope. Is it a holy grail to quality golf architecture? Ha, not a chance. But this is one of those courses, where the the overall experience and fun factor make you forget about all of that. I can remember every hole on the course, the views are second to none, and there aren’t many rounds where I’ve had more fun than here. If you ask anyone these days to name their favorite architect, I’d be surprised if 1 in 10 were to say Tom Fazio. Yet, as I’ve played more and more of his top-tier courses, I continually find myself counting them among my favorites. It’d be interesting to add up how many of each architect are on my list, but it wouldn’t surprise me if he tops the list. Estancia is beautiful, fun, and the whole experience is a memorable one. It’s not hard to see why it’s consistently ranked among the best in Arizona. Pasatiempo was my first Mackenzie course, and is another one Golf Digest didn’t have ranked highly. While there may be a few pedestrian holes, more often than not the course is world class with some of the best bunkering I’ve ever seen. 16 is easily one of the top 5 green complexes I’ve seen. Probably the most underrated course by traditional measures that’s on my list. The spectacular par 3, 5th. 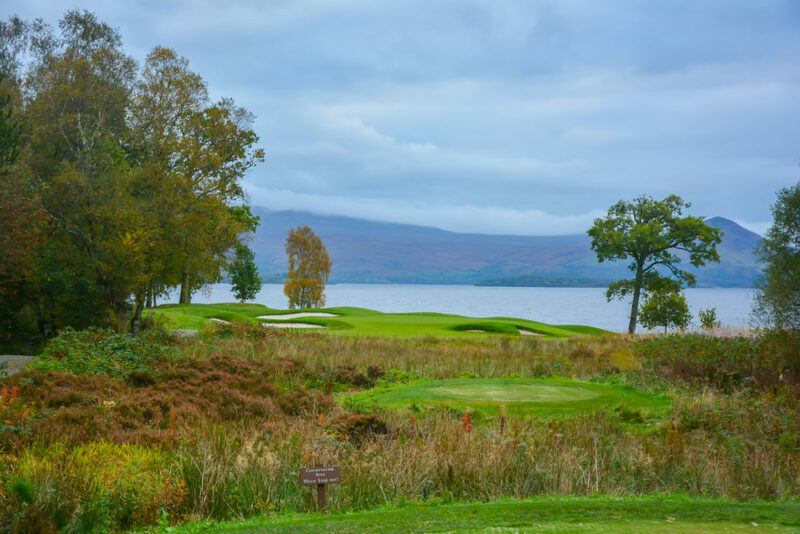 There’s no denying that part of the allure of Loch Lomond is that it is so hard to get an invitation to play. Next to Merion, it was probably my most anticipated round of 2016, and it didn’t disappoint. The setting right on Loch Lomond and within the national park is spectacular, and I found the course to be engaging all the way through. I wasn’t expecting to like the inland holes as much as I did, either. It’s becoming pretty clear that I’m a big fan of modern parkland courses – and this might be the best example I’ve played. Apparently I have a thing for big downhill holes, as #5 at Hudson National is the epitome of this. Hudson was the first top private I played in the NYC area and I enjoyed it immensely. Fazio created a unique, and fun course that uses elevation change to create a true adventure of a golf course. If that’s not an exciting approach shot, I don’t know what is. This was the first top 100 course I ever played, and is another one where I could see purists cringe – but there’s no denying the course is incredibly fun and scenic at the same time. The par 4 11th hole with an approach in between two waterfalls is one of the most unique holes you’ll ever play, and there’s at least 3 or 4 other holes that would be in contention for a top 100 holes list. After another play this past summer, I was reminded why I enjoy this golf course so much. I used to have Pacific Dunes ranked ahead of Bandon, but having played them both a few times since, I just keep finding myself enjoying Bandon Dunes more. The ebb and flow of the course from inland to water constantly keeps you entertained and excited for the next leg of the journey. This summer I was able to play Gozzer Ranch for this first time, and it 100% met my admittedly high expectations. Everything about Coeur D’Alene is laid back and has a truly relaxing vibe. Gozzer felt the same way, and it just happened to do it with world class infinity greens and views for days. When you think of Tillinghast you think of ball busting courses like Bethpage Black. Somerset is much more subdued and friendly – and I loved it. From the beautiful and severe #2 redan hole, I was hooked. Integrating features of the land, like the old horse race track on the property make it all the more special. Thank you Tim, Alex, and John for one of my best golf days I’ve had. Standing back behind tees on 15. Quite possibly my favorite golf photo I’ve ever taken. Diamante is the top ranked course in Mexico, and for good reason. It’s essentially a links experience in the desert, and was unlike anything I’ve experienced before. The views were amazing, and the “all-inclusive” atmosphere makes for a gluttonous, but incredibly rewarding experience. I also took my favorite golf photo I’ve ever taken here. This proves I don’t just like modern designs. SFGC was one of the most special experiences I’ve ever had on a golf course. It’s one of Tillinghast’s earliest designs, and similar to Somerset Hills, stands out as being quite a bit different than his other work. It took me two years to get on the course, but a really big thank you to the two people who helped make this happen. I sincerely hope we can do it again one day, and that I can find a way to return the favor! You want to talk about adventure golf? It doesn’t get much more adventurous than this. It’s amazing this course was built so long ago, because it has so many features that I love in the more modern courses I play – you know except for so many blind shots. There are few things as rewarding in golf as the view from the 9th tee box after the hike to get up there. The 14th at Maidstone is unreal. This is another one that barely makes the cut for Golf Digest. I’ve heard complaints that it has a weak opening and a weak finish – but I didn’t think so. I thought the course eased you into the round beautifully, and then smacked you in the face with some world class holes. It’s not overly long or difficult by today’s standards, but it had just the right amount of personality and quirk to make me fall in love with it. Pretty much the whole course looks like this: dramatic. My Boston whirlwind a couple years back was fun because we got to play 4 of the best courses in the city (read: country): Essex County, Myopia, Boston, and The Country Club. Everyone we talked to had a different opinion on how these ranked. I knew I would love Boston. I like modern course designs, and Hanse did an incredible job crafting memorable and strategic holes. #5, “Shipwrecked,” might be the most unique short par 4 I’ve ever played – and if you know me, you know I love short par 4s! Also, thank you Jeff for bringing me along on your Boston whirlwind – looking forward to the next one! Believe it or not, this was one of the less foggy periods of time. Fishers Island wins the award for one of the more difficult courses to get to, as after your drive or train ride to New London, you board a 45 minute ferry to the island – and another 10 minute drive to the Club. You’re rewarded for your expedition however with the crown jewel of architect Seth Raynor’s repertoire. It’s one of the most scenic courses on the planet, and has some excellent template holes – including a Double Plateau that is one of my favorite greens in the world. “Jack’s Place” was so much more than I thought it would be. It felt like “Augusta Jr.” in regards to everything from infrastructure to conditioning, and while a brutal challenge I found the course to be more fun and varied in it’s routing than I’d anticipated. Each hole led to a new surprise, which had me saying “oh, now this is cool.” And that’s a sign of a good course in my book. Castle Stuart was one of only two golf courses from 2016 to make it into the top 10, and for damn good reason. It’s modern links at it’s finest. Infinity greens, risk reward par 5s, and a handful of dramatic holes you simply won’t see anywhere else. I’d be curious to play some of the links courses that I’ve ranked above it again, because it would not surprise me to see this rise even higher in the future. This might be my favorite green in the world. Often overlooked by many on Scotland trips in favor for Open Rota courses, North Berwick is one that should never be missed. It’s home to the original redan green, and at just over 6400 yards won’t scare anyone with its length. However, the quirkiness of the course made me fall in love with it. The 16th psuedo-biarritz green might be my favorite green in the world, and the 13th green tucked behind a stone wall is something you won’t find anywhere else. While unfortunately we were only able to experience LACC on one of the wettest LA days on record – it didn’t dampen the experience of one of the best golf courses I’ve ever played. The routing is genius, and always leaves you a little disoriented as to where you are on the property. The holes are memorable, and the devilish little tongue on the short par 3, 15th – is one of the coolest pin locations I’ve seen on a golf course – making it only 78 yards long. In my previous top 25 list of a couple years ago, Bandon Trails was the outright winner. Which many have been shocked by as traditionally it’s the lowest ranked of the four courses at Bandon. My rationale? It’s the most unique. Hundreds of courses have ocean. Very few weave dunes, meadows, and forest together in a way that flows so well. And as for 14? I don’t hate it as much as everyone else. Just calls for a different strategy! For me, it’s not hard to see why. It’s a bit of a trek to get there, but totally worth it. To put it simply, Merion has everything I look for in a golf course. Unique, fun holes. A bevy of short par 4s, and does all of this while still being strategic, and providing a true challenge and test of golf. I knew before I played Merion would either shoot to the top of the list, or I’d find it wasn’t my style and would consider it overrated. Luckily in this case, it was totally the former that prevailed. Deciding on #1 vs #2 was probably the most difficult decision I had to make with this list. NGLA is one of the most special places I’ve ever been. The course is one world class hole after another, and the setting is about as good as it gets. Depending on the day this could very well take the top spot, but on this day it just barely gets edged out. The iconic 7th at Pebble. I should preface this by saying, I had lowered my expectations for Pebble after hearing so many people say it’s overrated. I’m sorry, Pebble Beach is an absolutely phenomenal golf course. Not only are the water holes unique and beautiful, but even the inland ones (with one or two exceptions) were still world class. Someone recently told me Pebble beach was boring. If you think Pebble Beach is boring, I can’t imagine what course you would say is fun. For me, I’ve yet to see a better combo of fun and excellence in architecture and design. It’s that good. Thanks for tuning in to this years Top 100! It’s been fun receiving so many messages with your thoughts and own preferences. Love seeing Yale on here. Grew up playing it and the layout is second to very few. Conditions to vary but if you’re there in a year they are hosting a NCAA Regional it is MINT. Great list! Unbelievable you’ve gotten to play all of these. I feel lucky to have played just 9 of them. Fun read, thanks! Thanks David! have a favorite of the ones you’ve played? Thoughts on harbour town in Hilton head? One of the most enjoyable tracks I’ve ever played and seems to follow the definition of fun you’ve laid out. Unfortunately when I was in Hilton Head, the course was closed for Heritage prep, so I havent been able to play it yet. But from what I heard, it looks like one I’ll enjoy. Great list and I understand these are based on where you’ve gotten. By this list I’m guessing you haven’t been to Fishers Island or really much of the Met Section other than Old Oaks. Plans for 2017? I may be able to help with some spots..
Yeah I’ve played a handful of courses in NJ and Long Island, but not a ton in that exact area. Clearly I have yet to play Fishers haha. Sean, nice list and great photography! To be honest I skimmed by most of the list as I cannot afford nor would I ask to be invited to a exclusive course. I’m a long time volunteer at many USGA events from US opens, senior, LPGA, ameature, and first tee events. I’ve instructed junior golf, I’m a Vet, worked all of my life and frankly have little to no chance of traveling the world playing many of these courses. As an example – if I were to travel to Scotland some of the places you rate would not be available to me or some of your readers. The reason I’m writing is not to knock your list but to ask for another slant showing a ‘top five’ public affordable list by region. For example if I’m traveling to a area what courses are in reach and are still on you fun list. Thanks Stan, that’s a great idea! I’ll see what I can do about putting a list together by region and price based on my experience some time soon. What makes a course fun? IMO: the challenge, shots requiring strategy, risk/reward, and playability. Fun can also be affected by how you’re playing, how the conditions impact play, and who you are sharing the 4+ hour experience with. That’s why I would have Chambers Bay a little higher on my list. It’s big, bold, and makes you play shots you don’t get to play elsewhere. Doesn’t hurt that I was able to enjoy my round with my sons. Having just played Pebble I agree. My only complaint is that the surroundings border on distracting. Golf almost seems secondary. I noticed an absence of island golf on the list. Mauna Kea would be up there for me. Ah man, your comment was the first one that made me realized I left a course out – Bay Course at Kapalua. Although I played it in 2006, so probably shouldn’t count. Other than that I really havent played much island golf. Would like to get out to Hawaii sometime soon. Royal County Down, Royal Portrush easily accessible and must plays. Just got back from a golf excursion in Australia. Played Cape Wickham, Royal Melbourne, Kingston Heath, Metropolitan, Ocean Dunes, Barnbougle Dunes, Lost Farms, Victoria, and New South Wales. Trip of a lifetime. Cape Wickham and New South Wales are all world! Sean go to Ireland immediatly!!! Played both Wolf Creek and Tobacco Road in 2016, after reading about them on you web site. Must say they are both absolute joys to play, regardless of what you shoot. Played Wolf Creek in 30-40 mph winds, and played Tobacco Road in a steady drizzle. Neither could dampen my enjoyment of playing these wonderful tracks. Sean, just wanted to shoot out a note and tell you how much I enjoyed your list/review. Got the chance to play Pebble this past July on a 65th birthday trip/present from the honey and couldn’t agree more of its #1 standing. Best week of my life: played Pebble on Friday, SpyGlass on Saturday, SFGC on Monday and Harding Park Tuesday. Home run; keep up the great work. Awesome list man. I am terrible with rankings because I like most of the places I play. I appreciate your effort on this. We still need to tee it up! When are you going to come to Australia and try some of our fun courses, they’d put some of those listed to shame!!!! Nice list Sean ! I also ranked courses I played and applied about the same process than you. Tobacco Road was the only course where you actually said it was a good “value”. So many of these are un-attainable for the “average, public golfer” you claim to be aiming for. Outside of Tobacco Road, there probably aren’t five other courses here that can be played for less than 100 dollars. This was more like a Joe Passov, “I get to play for free, in exchange for a good review”, list. All about exclusivity and big-name designers. I’d have lots of fun as a guest at these courses, too. P.S. I’m not griping, just pointing out that it is, in fact, very much like a Golf Digest, Golf Magazine, ranking. Though you do occasionally remind us that it is a highly personal list based on “fun-factor”. Hope you have a great 2017 (honestly), as I will continue to try to beat my own previous “117 straight calendar months played” streak here in the cold northeast. I did enjoy the photos, and the mention of some lesser known tracks. Merry Christmas. Bill W.
Bravo Sean. It was your article about Royal Dornoch which convinced me to head up there this year during my first golf trip to Scotland, and I had the time of my life. All I can honestly say is Thank You. It was the best course I’ve ever played. You were spot on with North Berwick and Cruden being up there too. I’m off to Cape Wickham in Feb, so keep an eye on my Insta account (@golfaholic1) for the results! Season’s Greetings…. I think you’d like the Highlands course at Primland, in Southwest Virginia (about an hour north of Greensboro/Winston-Salem; two hours from Pinehurst). If you go in mid/late October, the fall colors are fabulous. And the course is top-notch. Make it a priority to get to Cape Breton in Nova Scotia. According to Matt Ginella, Cabot Cliffs is better than Pebble. Cabot Links is also phenomenal and while there enjoy a Canadian Classic from famed architect Stanley Thompson and play Highlands Links. Awesome blog, really enjoyable! Keep up the great work. Druids Glen in Ireland. Great course with a lot of interesting views and shots. It would be helpful if you had simple list of these courses that I could print out and have a single sheet to review for potential future rounds. Underrated course up a little west of Tacoma has to be Gold Mountain (Olympic Course). Fantastic variety of holes and has plays host to several big tournaments. If you haven’t gotten to play it I highly recommend! Love the list. I disagree with where you have pinehurst 2 ranked. Just played again last week. It is a course that requires good iron play and patience. Since I did not have either that day I did not score well. Thought pinehurst # 4 was great as well. I also thought Shenandoah was the best course at turning stone. I remember reading your first few posts. It is amazing how far you have come! Hopefully we can tee it up one day.